We will be presenting the CyberCool 2 and STULZ Explorer chillers. The two units combined weigh over 12 tons, feature an output of 1,300 kW and are absolutely unmissable. 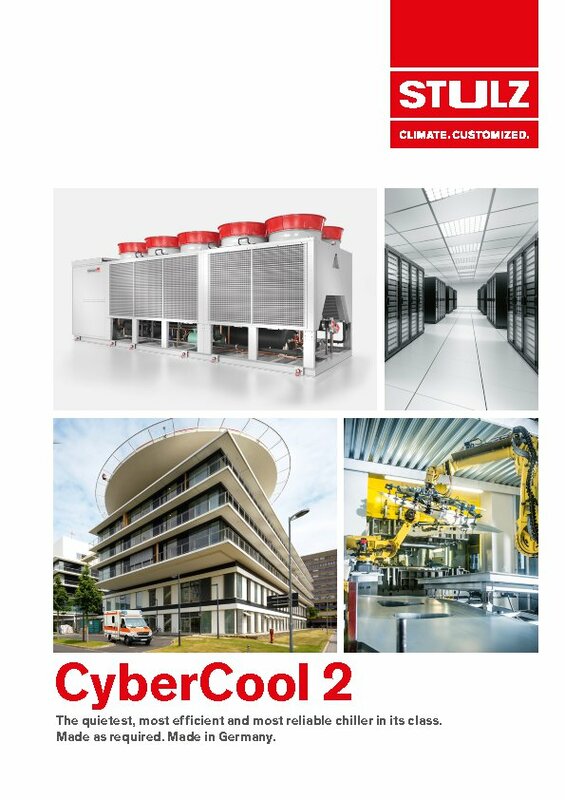 The CyberCool 2 chillers are produced in Hamburg, have been specially developed for applications in industry and data centers, and meet all requirements in terms of efficiency and reliability. STULZ has added to its chiller range with the liquid-cooled EXPLORER WSW. With the state-of-the-art design of the liquid-cooled chiller, featuring an electronic expansion valve, microprocessor control and infinitely adjustable power control, STULZ has once again demonstrated its expertise in liquid cooling systems. Buildings, e.g. hotels, office blocks, shopping malls, hospitals, etc.